1. 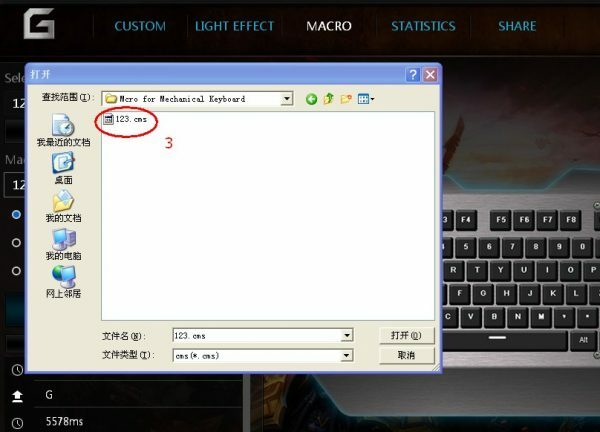 Click “Macro” label on the top of mechanical keyboard driver tool software. 3. There pops up a dialog box for you to select an existing Macro file (with file extention “.cms”). 4.Macro will show on the driver tools after the macro was imported. 2. Input a name for the macro. 3. 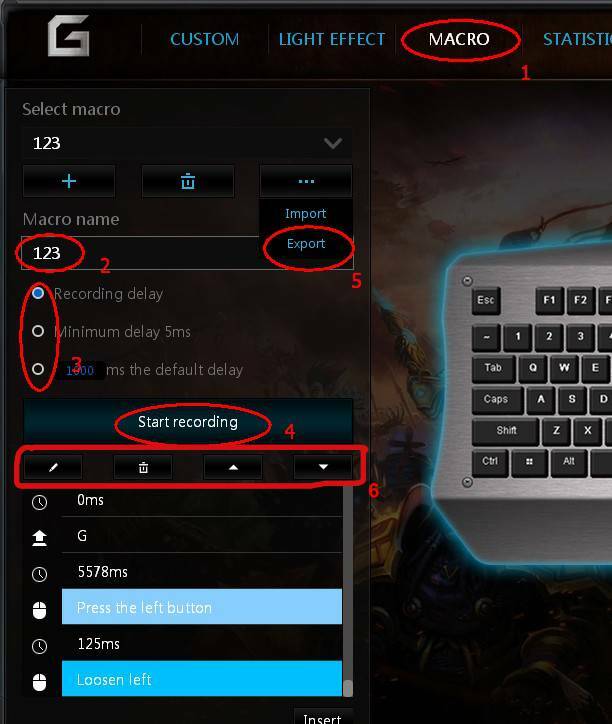 You may choose the macro recording parameter. 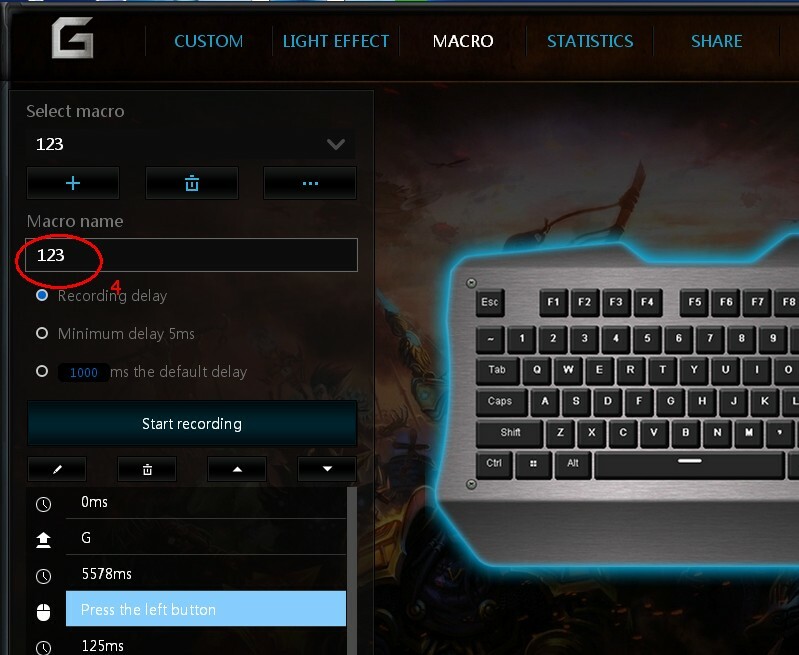 5.Once the recording is finished, you may click “export” to save the macro into your pointed file folder. You may share your macros with your friends who also play with our mechanical keyboard produts. C)How to use a macro for your mechanical keyboard? 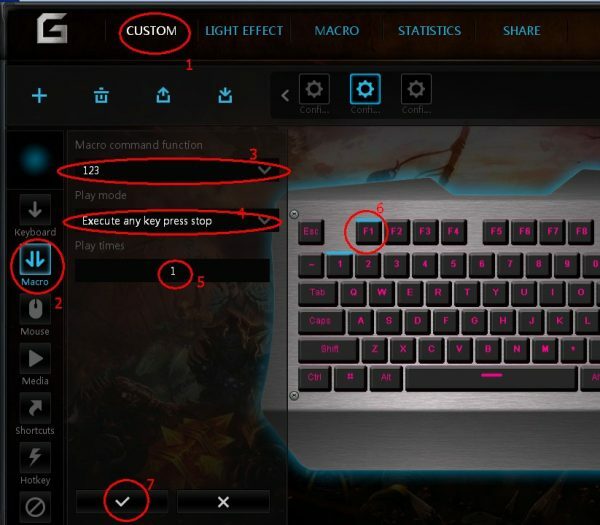 Binding a macro with a key on RGB mechanical keyboard, a shortcut to execute macro, it’s so great when gaming! 2. Click “Macro” label on the left column of mechanical keyboard driver tool software. 3. 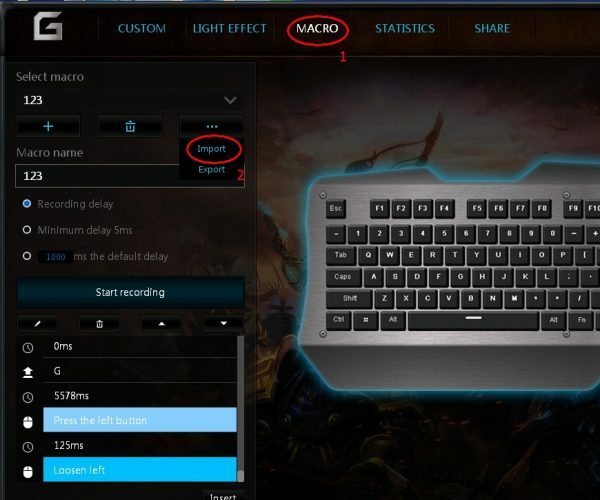 Click to select the existing macro. 5. Input a number to set “Play times”. 6. Select a key to binding to the selected macro (e.g. click “F1” key, “F1” key on the driver tool software will change its color to show it was selected). 7. Click“√”and “Apply” to save. Thus, the macro will be executed when press the key “F1”, this is so great function when gaming!